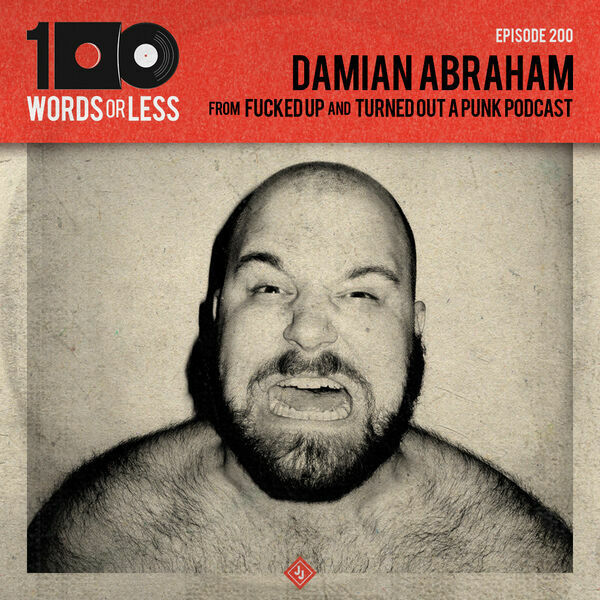 Episode 200 - I find it incredible that this thing has lasted for 200 episodes and we have quite a guest for you today in the form of Damien Abraham from Fucked Up (and incredible podcast, Turned Out A Punk). We’ve known each other for a long time and really dove deep into obsession, anxiety and what it feels like to “sell out” straight edge. No stone is left unturned and we even get some insight on what the mentality is like behind the unconventional band that Fucked Up is. What a time to be alive people, sit back and enjoy! - - - Check out Equal Vision Records and the new Say Anything record, called “I Don’t Think It Is” and get 15% off any order by using the code PODCAST! Visit our sponsor Harry’s and use the code 100WORDS for $5 off your first order. Amazing razors at a great price!